The two principal divisions of the New York Mercantile Exchange are the New York Mercantile Exchange (NYMEX) and the Commodity Exchange (COMEX). Earlier, they were two separately owned exchanges. Today, they are both owned and operated by the CME Group of Chicago. NYMEX and COMEX are located in the same building at One North End Avenue in Manhattan, New York City, USA. Additional offices are found in Atlanta, Boston, San Francisco and Washington in the US, as well as in Dubai, London and Tokyo abroad. Comex is the world’s largest gold exchange by volume. Actual physical gold bullions is held in Comex approved warehouses. That is because Comex operates a physical gold market where traders can be obliged to make and take delivery. Comex also facilitate off-exchange trading for investors, miners and refiners. The gold in Comex approved warehouses is gold bars that have been made according to specifications set by the CME Group. The gold is owned by refiners or by refiner’s customers. Refining companies create gold bars, e.g. from mine output and by melting down scrap jewellery and coins. 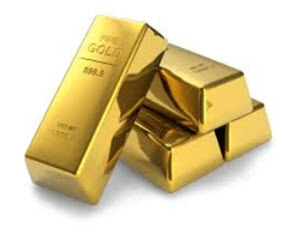 Examples of refiners that deliver gold bars to the Comex warehouses are Metalor Technologies, Johnson Matthey, and Heraeus. Only Comex-approved gold bars are eligible for the settlement of gold futures contracts traded on Comex. When Comex-approved gold bars are registered, warehouse receipts are created and the gold bars become registered gold stocks. When a golf futures contract stipulate delivery rather than cash settlement at the end of the contract, delivery will take place by letting the trader take delivery of the warehouse receipt. Ownership of the gold is transferred by delivery of the warehouse receipt. The receipt is a bearer instrument. If the receipt holder wishes to take physical delivery of the gold that can be arranged, but it is not a quick process. If the gold bars are removed from the Comex-controlled circuit, they are no longer eligible for the settlement of gold futures contracts traded on Comex. Most traders do not take physical delivery of the gold. In fact, most traders don’t even take physical delivery of the receipt – they leave it with their broker instead. 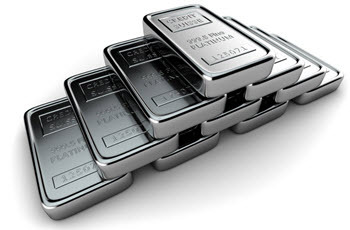 Futures contracts for gold, silver, copper or aluminium are traded at Comex. These contracts are agreements to deliver a specified amount and grade of the metal at a specified time, and receive a pre-specified price. 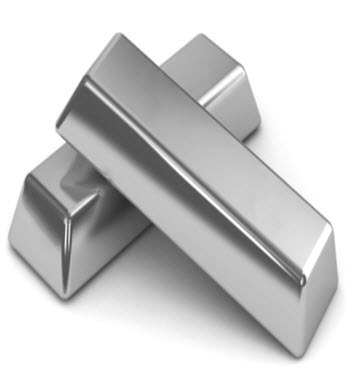 The market for metal futures contracts at Comex is highly liquid, in part due to the widespread use of leverage (margin accounts). Liquidity provided by speculators make it possible for companies in the metal industry – such as miners, refiners and retailers – to manage risk and at least partly protect themselves from the volatility of the metal price. It is very common for commodity futures contract positions to be closed prior to the delivery date. This means that no delivery will take place. In 1872, a group of Manhattan-based dairy merchants founded The Butter and Cheese Exchange of New York. Soon, eggs were listed as well, and the name of the exchange was consequently changed to The Butter, Cheese and Egg Exchange. When poultry, dried fruit and canned goods were added in 1882, simply extending the name of the exchange was deemed to cumbersome and the exchange was instead renamed The New York Mercantile Exchange. COMEX was created in 1933 by the merger of four commodity exchanges: The New York Hide Exchange, The Rubber Exchange of New York, The National Metal Exchange and The National Raw Silk Exchange. Starting in the 1970s, COMEX and NYMEX shared a trading floor in 4 World Trade Center in New York. NYMEX was considerably smaller than COMEX, and was also suffering from a tarnished reputation after the 1970s potato scandal. When COMEX energy trading took off, COMEX began to grow rapidly and eventually became both larger and wealthier than NYMEX. On August 3, 1994, NYMEX and COMEX merged under the NYMEX name. In the early 2000s, NYMEX – still relying on the open outcry method of trading – started losing business to electronically based exchanges such as Jeff Sprecher’s Intercontinental Exchange (ICE) and Enron’s own online-based energy trading system. For instance, NYMEX had long held almost a monopoly on exchange-traded oil futures, but was now losing market shares to ICE who had created oil contracts that were very similar to those listed on NYMEX. 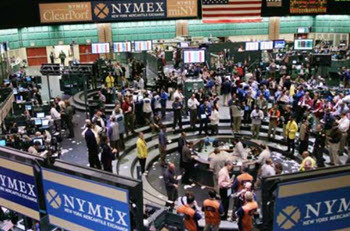 To remain competitive, NYMEX teamed up with the Chicago Mercantile Exchange to use Globex from 2006 and onwards. Banks, hedge funds and big commodity companies preferred the efficiency of Globex, and the traditional NYMEX trading pit fell into decay. It was closed for good on December 30, 2016. In 2006, NYMEX underwent its initial public offering (IPO) and was listed on the New York Stock Exchange (NYSE). Parts of NYMEX was sold to private equity investors, and the Chicago Mercantile Exchange (CME) became the owner of NYMEX’s physical facilities. In 2008, the CME Group acquired NYMEX Holdings Inc for $11.2 billions in cash and stock.